1. 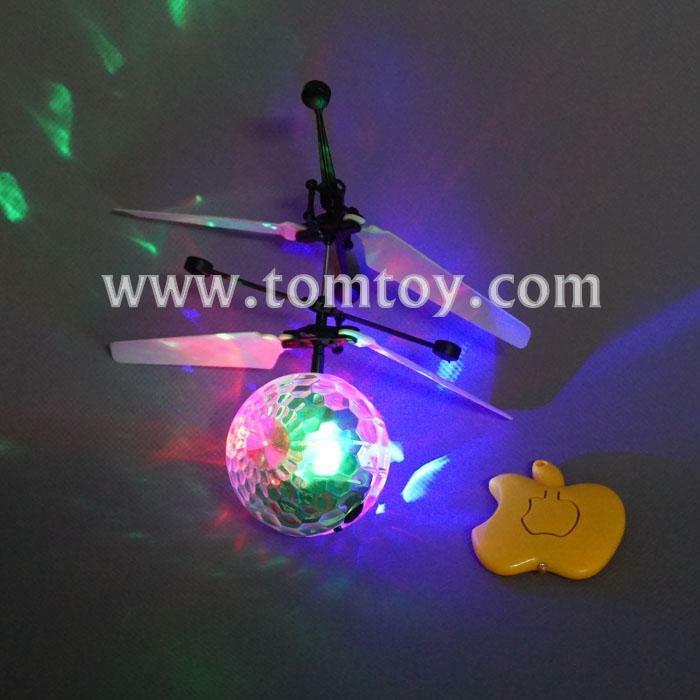 Flying ball diameter: 2.0'', helicopter size: 6.1''L, 2.2''W, 4.7''H. 2. Features 4 LED lights, including 2RD, 1BU, 1GN. 3. Power: charge it with the USB charger cable. It takes about 20 minutes to acquire a full charge and that gives it about 6-8 minutes flying time. 4. Switch on the on/off button to turn on the light, use the remote to start and stop flying. 5. There are induction launcher and induction receiver at the bottom of the ball. The flying ball can sense the object downward or nearby and it will move away intelligently. 6. Light weight makes it easy to fly with simple operation, especially designed for beginners like little kids.